.......53 Buddhas and Me .................My Life Adventures.....: It's Almost Spring in Daylesford. It's Almost Spring in Daylesford. 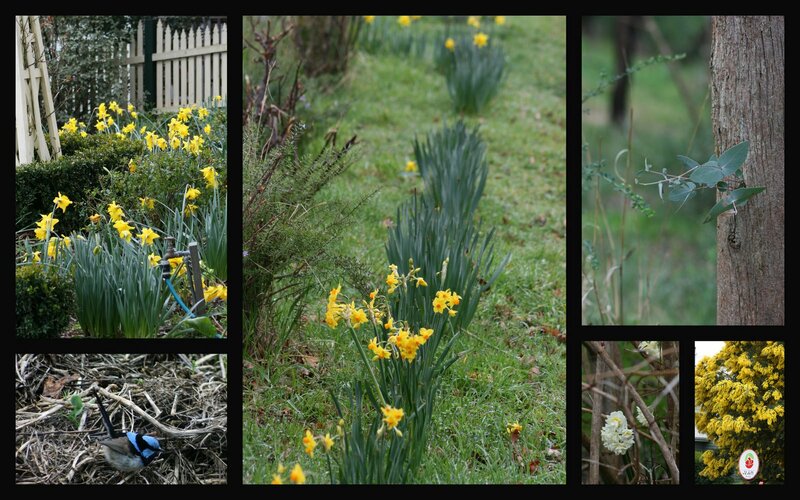 It's Easy To See That It Is Almost Spring In Daylesford. What a gorgeous display! Spring really is just around the corner. What lovely flowers Davine. How strange for me to see you moving in to Spring as we sweat in our summer, moving towards Autumn. The lovely daffodils caught my eye and then i enlarged the photo and saw that unusual blue bird-- he's a beauty. Your flowers are beautiful! It's still very hot here in NC! Medicine Wheel 2011 - 2012 & My gift to Who?